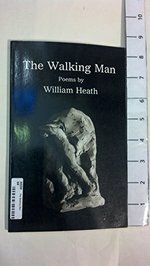 Home » Trade Books » Trade Sale 50% Off! In the early 1920s, Fannie Hurst's enormous popularity made her the highest-paid writer in America. She conquered the literary scene at the same time the silent movie industry began to emerge as a tremendously profitable and popular form of entertainment. Abe C. Ravitz parallels Hurst's growing acclaim with the evolution of silent films, from which she borrowed ideas and techniques that furthered her career. Ravitz notes that Hurst was amazingly adept at anticipating what the public wanted. 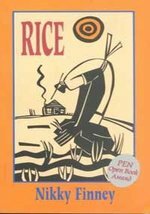 Sensing that the national interest was shifting from rural to urban subjects, Hurst set her immigrant tales and her "woiking goil" tales in urban America. In her early stories, she tried to bridge the gap between Old World and New World citizens, each somewhat fearful and suspicious of the other. 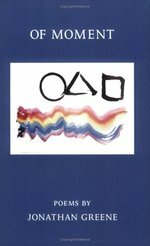 She wrote of love and ethnicity - bringing the Jewish Mother to prominence - of race relations and prejudice, of the woman alone in her quest for selfhood. Ravitz argues, in fact, that her socially oriented tales and her portraits of women in the city clearly identify her as a forerunner of contemporary feminism. Ravitz brings to life the popular culture from 1910 through the 1920s, tracing the meteoric rise of Hurst and depicting the colorful cast of characters surrounding her. 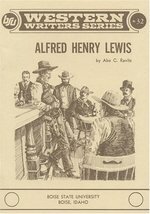 He reproduces for the first time the Hurst correspondence with Theodore Dreiser, Charles and Kathleen Norris, and Gertrude Atherton. He examines her important friendships with the early sentimental screenwriter Frances Marion and with theatrical producer turned movie mogul Daniel Frohman. 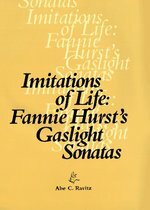 Fellow writers Rex Beach and Vachel Lindsay also play important roles in Ravitz's portrait of Hurst, as does Zora Neale Hurston, who awakenedHurst's interest in the Harlem Renaissance and in race relations, as shown in Hurst's novel Imitation of Life. 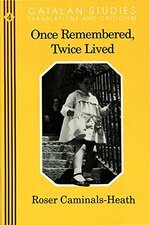 Once Remembered, Twice Lived is a novel set in Barcelona, Spain, that traces the stories of two families of different backgrounds united by marriage. The lives of three generations, spanning from 1900 to the 1970's, are touched by private tragedy as well as by the Civil War of 1936. Rather than being linear, however, the narrative is circular and impressionistic, prompted by recall rather than by conventional chronology: Characters who die in the third chapter may reappear in the twentieth, reminding us that memory is the only possible victor over time. 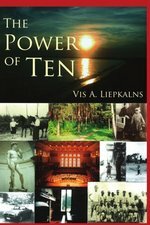 Overview of "The Power of Ten" by Vis A. Liepkalns Ph.D. With some literary, romantic and dialogue enrichment, and given the imperfections of the human memory, I have tried to make sense of the experiences of academics and other underachievers of superior intelligence I have known. With their names changed to protect their privacy and mine, I put ten of them in the same room. These people share a common desire to understand each other; they make that effort mainly through stories about events in their childhood that shaped their character one way or another. A common theme in their stories is child abuse and stress; and redemption through survival, adaption and sacrifice. They contribute powerful and fulfilling learning experiences to each other that give them the synergy to move on. In the process I have also tried to find common ground: between lovers and the object of their passion, between kin who feel funny just hugging each other, between rock music and "classical music," between faith-based assumptions and scientific reasoning, between historical icons and real people, between our perceptions of existence and non-existence, and between the pathos and the humor of man's search for meaning and purpose... I'll stop there. 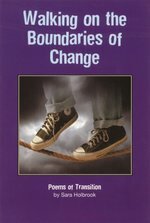 In writing this book I found that the stories lent themselves to many metaphoric and symbolic techniques, which the reader may find helpful intellectually and visually, as well as enriching aesthetically. Vis A. Liepkalns Harwich MA October, 2008. 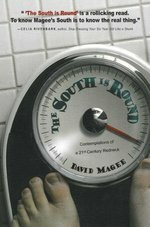 Takes a humorous approach to social issues facing the conflicted, contemporary south. 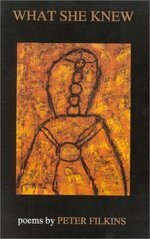 This book tackles topic ranging from crystal meth abuse and obesity to sexual misconduct. It is intended to delight both native southerners and those who simply love the land below the Mason-Dixon Line. In the ongoing war on terror, record numbers of Army National Guard reservists are being deployed overseas; more than 400,000 to date have been ordered into action. Nearly one fifth of them had already served their commitment to the U.S. Army, but through President Bush's stop-loss order, they have been forced to remain in Active Duty. Most of these reservists never thought they'd see war; some are blatantly opposed to it. Almost none are prepared for it; many are dangerously ill-equipped mentally, physically, and emotionally to wage war. They leave steady jobs and established careers, and they leave behind wives, husbands, partners, and families. Stacy Bannerman is one of those left behind. When the War Came Home chronicles a journey that began when Stacy's husband Lorin, a forty-three-year-old Sergeant First Class who had never thought he'd be asked to wage war, was called to active duty as an Infantry Mortar Platoon Sergeant in October 2003 and remained on the front lines until spring 2005. When the War Came Home is Stacy's personal account of the emotional impact and oft-unreported realities of her home front experience during that time, something shared by thousands of reservists; spouses and partners. Unlike many of those others, Stacy has the singular viewpoint of being a high-profile career peace activist who ultimately finds herself at odds with her husband fighting on the front lines of Iraq. Stacy's voice and experience bridge the unique and the universal in a no-holds-barred memoir of war and of fighting for peace.